Long Way from Lambeau: Crickets? Wow it's been awhile since I stumbled into the LWFL blog. After my little hissy fit about the replacement refs, I got into the season watched the Packers put together a pretty good season only to watch them get their asses handed to them by the 49ers. Nothing really too exciting happening on the collecting front either. There have been some really nice cards popping up, but I'm way to cheap. There was this great Double D auto relic from Limited. Which ended going for about 32 bucks, numbered to 25. I'm going to miss Driver. 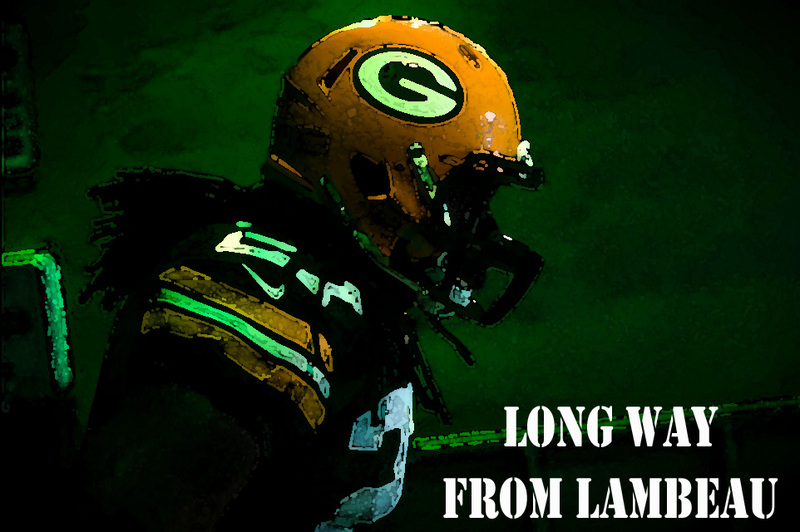 He took a reduce roll to stay with the team, I'm not sure how much Donald has left in the tank, but I'm sure he won't be back on the Packers roster next year. One of the greats. Saw this Crown Royale beauty up for auction last week as well. It went for only 27 bucks, number to 75. And one of my all time favorite players and a guy that signs TTM very consistently. This beauty pulled in $55 and is numbered only to 25. A great swatch of what is either a piece of the sleeve or pant, I'm thinking pants. I miss Sterling, but if there is anything good on the NFL network it's his show. So sorry for the lack of posting and sorry this is a half assed post, but now that football is over for me it time to start looking toward baseball! Less than a month till pitchers and catchers report.